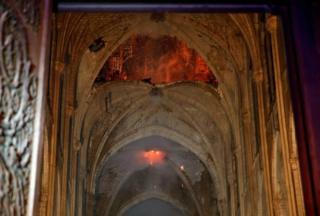 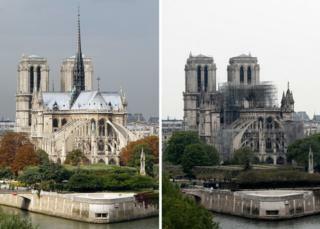 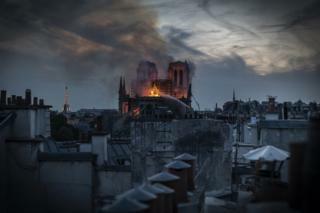 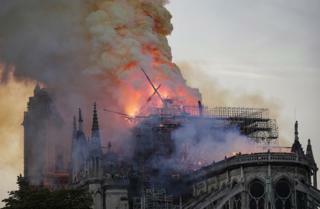 Parisians are examining the full extent of a massive fire at Notre-Dame cathedral. 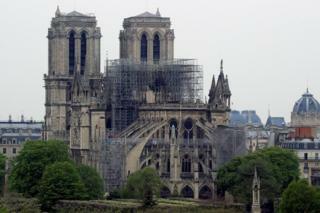 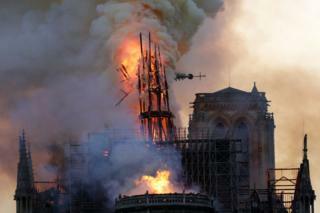 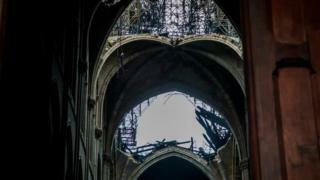 President Emmanuel Macron has vowed to rebuild the 12th Century cathedral, describing the blaze as a "terrible tragedy". 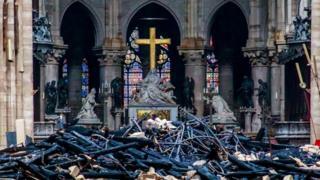 Hundreds of millions of euros have already been pledged. 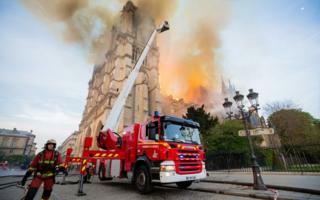 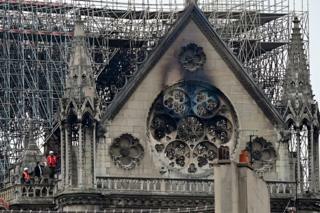 Image caption The Paris prosecutor's office says it has opened an inquiry into "accidental deconstruction by fire"